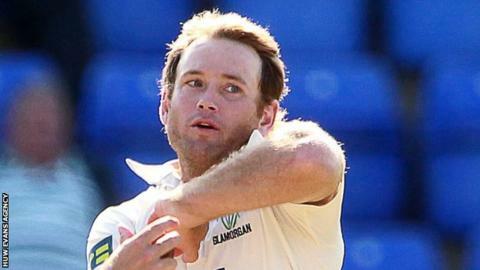 Batsman Colin Ingram will again be missing because of a knee injury when Glamorgan's Championship game against Worcestershire starts on Sunday. The 30-year-old missed their opening defeat by Leicestershire, the draw at Derbyshire and loss at Kent. Ingram now hopes to be fit in time for the NatWest T20 Blast campaign which begins at Surrey on 26 May. "At the minute my main goal is to get back and start hitting balls again," Ingram told Glamorgan's website. "Whether they're red or white it doesn't make a difference." Ingram missed the closing weeks of the season in his native South Africa, but had hoped to start the new UK season with the Welsh county. He was Glamorgan's leading Championship and One-Day Cup run-scorer in 2015. Glamorgan have further Championship matches against Gloucestershire and Essex before beginning their T20 Blast campaign at the Oval. Meanwhile wicketkeeper Mark Wallace and newcomer Nick Selman stepped up the pressure for first-team places with further centuries in Glamorgan's second XI match against Surrey. It was 20-year-old Selman's second 100 of the match and Wallace's second in two games since being left out of the first team to face Derbyshire from 24-27 April.